I was recently given the opportunity to try all of the different flavors that Olomomo Nut Co. has to offer, and let me just tell you, they are all delicious! The flavors are: Maple Garam Masala Kettle-Roasted Pecans, Plum Vinegar and Sea Salt Dry Roasted Almonds, Mango Chipotle Kettle-Roasted Almonds, Cinnamon Cayenne Kettle-Roasted Almonds, Cherry Vanilla Kettle-Roasted Almonds and Chai Bliss Kettle-Roasted Almonds. All of the nuts from Olomomo Nut Company are all natural. You can pronounce all of the ingredients included on each package. All of the nuts include "love" as one of their ingredients, which is really awesome! I loved each flavor for different reasons, but if I had to choose, I would say that Cherry Vanilla Almonds were my favorite for snacking. I used the Vinegar and Sea Salt flavor in a recipe (see below), which turned out amazing as well! For this recipe, I use Olomomo Vinegar & Sea Salt almonds as the main coating along with parmesan cheese, salt and pepper. This could not be easier to prepare! Use food processor to grind the almonds into almond meal. I chose to use the Vinegar & Sea Salt flavor, but any flavor of Olomomo nuts would work perfectly! 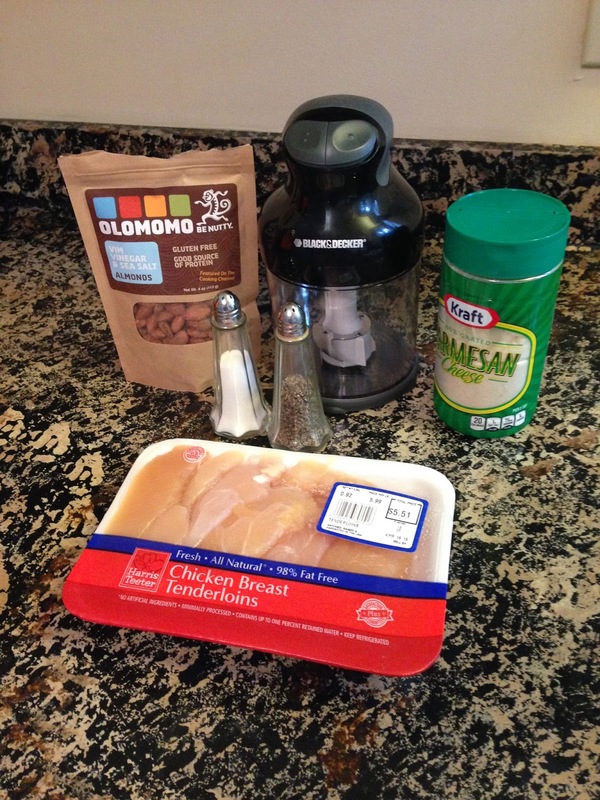 Mix the almond meal with the parmesan cheese and roll the chicken tenders in the mixture. Place the chicken tenders in a hot sauté pan with olive oil. Cook for 3 minutes or so on each side until they are golden brown on both sides. Serve with your favorite dipping sauces or just as they are! Delicious! 3. Place ground almonds, parmesan, salt and pepper together in a shallow dish. Mix well. 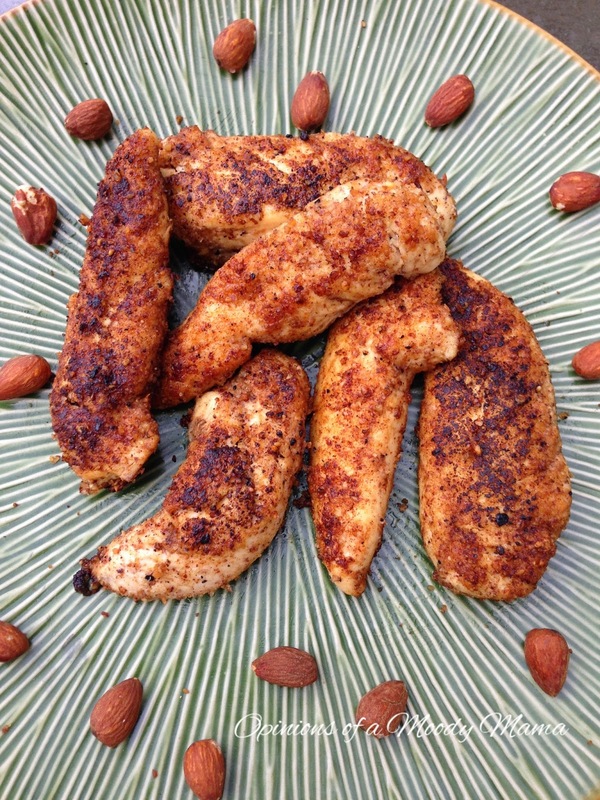 Coat chicken tenders in mixture. 4. Place coated chicken strips into hot sauté pan. Cook each side for about 3 minutes, until cooked through and browned. 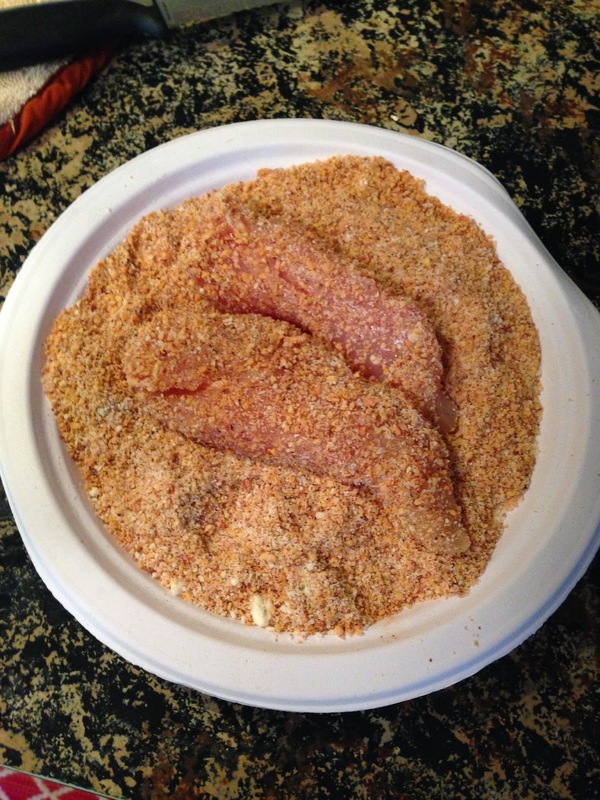 Remove chicken strips from skillet and let cool on a baking rack or paper towel lined plate. 5. Serve warm with your favorite dipping sauces. Which flavor of Olomomo nuts would you use in this recipe? I think I'll try the Cinnamon Cayenne flavor next! 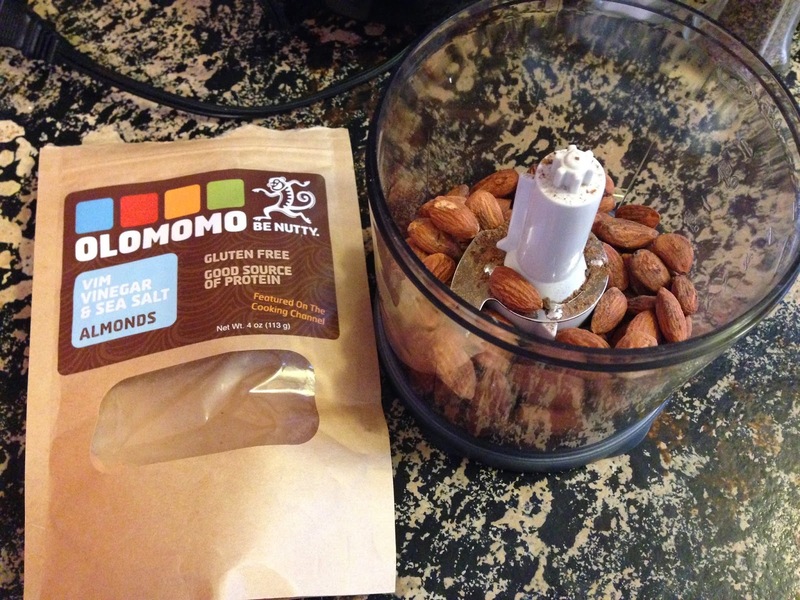 Check out Olomomo Nut Company and order some of their yummy products today! I did not receive compensation for this post. 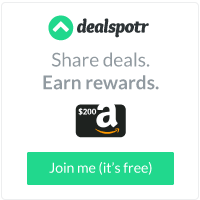 I was provided the product mentioned above to facilitate the review. All opinions are 100% my own.